The four most common moth pests in Bristol and through out the UK are: The common clothes moth, the brown house moth, the white-shouldered house moth and the flour moth. 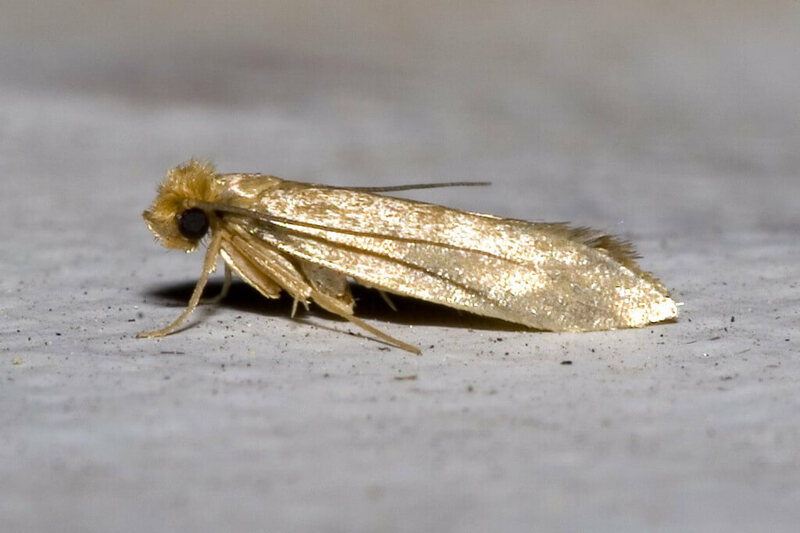 The Common Clothes moth has golden straw-looking wings with fringed hair. They are 6-7mm long. Brown House moths have golden-bronze wings, they are flecked with black, folded flat along their back. 8mm long and prefers to crawl. White Shouldered house moths have mottled wings with a white head and ‘shoulders’ where the wings attach the body. Flour moth are grey and brown, 12-15mm in length. Bristol moth control is important, moth larvae stages will cause endless amounts of damage to natural fibers including: clothes, carpets, fur, feathers and belongings. Serious commercial implications to bakeries, mills, stored products & large commodities. They can also affect business reputation and damage irreplaceable objects such as precious tapestries and historical artifacts. Bristol moth pests will lay anything from 40-50 eggs through outs it life span based over 3 weeks. A male moth can smell a female moth from 7 miles away, detecting even single odour molecules using elaborate, feather-shaped antennae with hairlike scent receptors.